A Chinese commitment to commit: can it break the negotiation stall? Preparatory talks to the next round of negotiations seem to indicate that a comprehensive agreement to mitigate climate change will not be easily attainable, despite the intentions of the US administration and the high expectations surrounding the Copenhagen meeting. One key reason is to what extent fast growing economies, and especially China, should take actions to reduce their growth of emissions. 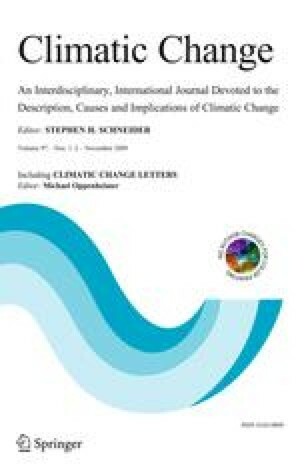 This paper argues that a turning point for international negotiations on climate change could be achieved if China were to agree on carbon obligations in the future. Results from modelling work suggest that the optimal investment behaviour is to anticipate the implementation of a climate policy by roughly 10 years, and that thus future commitments—if credible—could lead to significantly earlier steps towards carbon mitigation. If fast growing economies, and foremost China, believe in the long term objective of global stabilization of carbon concentrations, it might be economically rationale to sign on future targets, provided developed countries take on immediate action. Such a provision could be beneficial for both the developing and developed world. This paper is part of the research work being carried out by the Sustainable Development Programme of the Fondazione Eni Enrico Mattei. The usual disclaimer applies.